Can you imagine? In a world where Dave and Buster’s exists, human beings don’t have enough playtime. But seriously, we don’t, particularly women. As children and adults, a lack of play is detrimental to our wellbeing. It’s no guesswork then, that an absence of fun and play – which damages our well-being – also harms our productivity. I’ve done some recent experiments regarding how playtime affects my own productivity, and I want to share both my results and the science behind them. People don’t believe me when I say I put play first to be most productive. It sounds counterintuitive that putting playtime before work would increase results. But, when I started to add play to my daily routine, I found my productivity doubled. As a writer, I can quantitatively measure my productivity with word count. I used to max out at around one thousand words per day. Now, I’m hitting two thousand with ease. 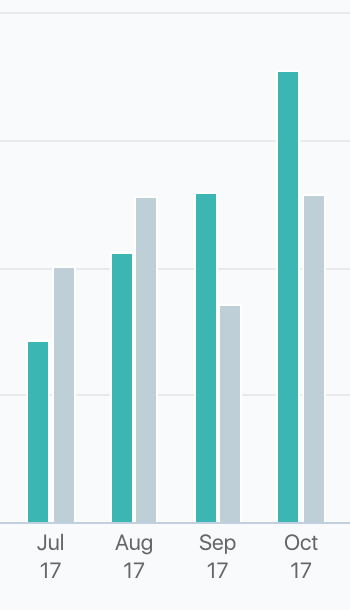 This has also significantly improved my writing income – as you can see, it’s doubled in the last several months. When I decided that I wanted to increase my productivity, the first thing I did was try to understand why I was procrastinating. When do I procrastinate? What do I feel that causes it? Is there a pattern? I took notes every time I felt the urge to delay doing something important. I noticed that days I felt most anxious or down (usually about something utterly unrelated to the task I was neglecting) were the days I procrastinated most. Can playtime help eliminate procrastination? If leisure can decrease depression, and even help us get through something as severe as job loss with less negative emotion, then it could certainly help me tackle a little procrastination. Exercise obviously improves mood, but it’s not the only way to boost serotonin, dopamine, and all that feel-good jazz. Any positive experience can boost mood – like creating art. I set out to battle my un-productivity by building positive experiences through play. Whether that was heading to the golf range first thing in the morning, or grabbing a cuppa with a close friend to catch up – I made playtime the priority. After a week, I noticed that my mood had significantly improved. And, as you know, my word count doubled. My enhanced productivity also increased my overall happiness because I felt accomplished at the end of each day. My newfound, positive energy allowed me to enter a state of deep work without all the fussing about to coax myself into it. What is deep work and why is it important? 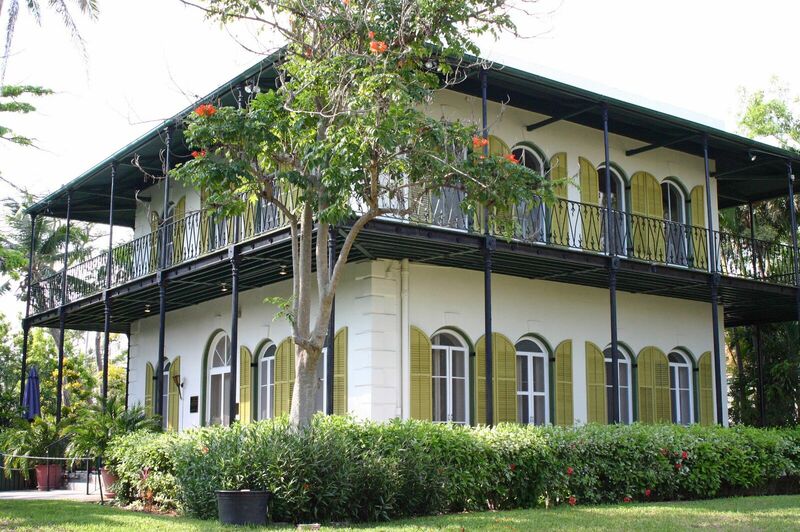 On a recent trip to Key West, FL, I toured Ernest Hemingway’s home. There were lots of tourists bustling about the property, in his gardens, taking selfies with his six-toed cats, and whatnot. But the most foot traffic centered around his writing studio above the carriage house. When Hemingway lived there, he connected the studio to the house via a small bridge that led from his bedroom terrace. Ernest went into his studio every morning and locked himself away from the world. Accessible only by a catwalk. A place where he purposefully entered a state of flow to do deep work. Deep work is the hardest work. It’s the work that requires 100% of our concentration. Cal Newport discussed his book, “Deep Work: Rules for Focused Success in a Distracted World,” with NPR. In the podcast, Cal explains that whether we’re writers working on the next chapter or engineers auditing code, we need to enter a state of flow – which is, an uninterrupted state in which we can perform deep work. Newport also discusses how our best work often happens when we’re in this hyper-productive state, and that there’s new research showing that “flow states,” in which we can perform deep work, produce better results. You don’t need to enter a flow state to complete all of your work. CEO’s of big companies may not ever need flow state since they mostly make decisions. But startup founders wear many hats, which is challenging. So if you need to code, write, design, or do any form of deep work, below are a few tips on getting there quickly. 1. Set up a separate workspace. It doesn’t have to be a studio with a catwalk from your bedroom terrace. This can be a desk and chair in your studio apartment, so long as your brain knows that this is where you work. Don’t do anything in your workspace except work. No Netflix, etc. 2. No distractions. Don’t take phone calls, don’t reply to emails, text, Slack, when you’re going to do deep work. I usually leave my phone in another room on do not disturb mode. 3. Increase the number of positive experiences you have. Staying positive means you have fewer excuses to procrastinate. To consistently perform “deep work,” and to keep yourself in better moods, you’ve got to give yourself positive experiences on the regular. Heck, our founder, Josh, once took a 10-day break and it helped turn the company from red to profitable. So how can you include play in your day-to-day? It’s as simple as scheduling it. I found that when it came to adding this positive change, I was reluctant to make it happen every day until I made it happen first thing every day. If I didn’t schedule fun before I started writing or attending meetings, then it would more often than not get pushed to the wayside. I’d tell myself; I`ll play piano after this meeting, or, I’ll hike in the evening before my girlfriend comes home. Saying these things to myself wasn’t enough. To combat this, schedule your play first thing. I recommend starting with 2-3 days a week. Just a few times a week was enough to double my productivity without getting in the way of me accomplishing what I needed to. I’ll openly admit that I`m not one of those 5 or 6 a.m. risers. I wake up when I wake up, according to my circadian rhythm – which is usually around 8. Some people wake earlier or later than that depending on their own circadian stuff. You do not need to wake up at 5 a.m. to master your craft, grow your business, or anything else that you wish to accomplish. Add your playtime in when it feels comfortable to you. If you try to work leisure into your schedule at a time that doesn’t work for your body, you’re only increasing the likelihood that you won’t do it. Play doesn’t need to be something big, grand, or time-consuming either. It can be as simple as reading one chapter of a novel or working on your watercolor painting for twenty minutes. If you’re a busy person, there’s always twenty minutes for your inner child. Even businesses are recognizing the positive effects of play on productivity. There’s a reason sales and marketing teams use games to help push themselves toward goals. Companies use team retreats for fun, focus, and relaxation. Startups and co-working spaces put beer on tap, ping-pong tables and VR headsets in common areas. Team play and leisure can help us form social bonds and make our communities safer.